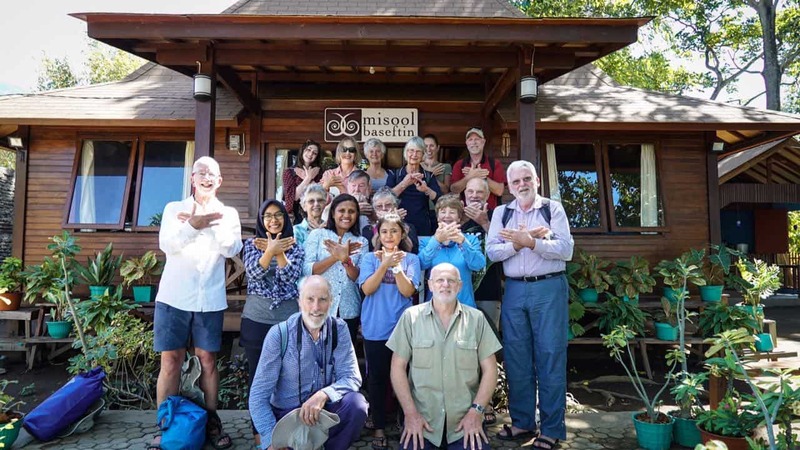 Earlier this month, Indonesian non-profit, Misool Foundation, welcomed guests from the Seven Seas as they passed through on a 2-week liveaboard trip. The group of 14 visited our programme office in East Flores to learn more about our work with the manta hunting community of Lamakera. 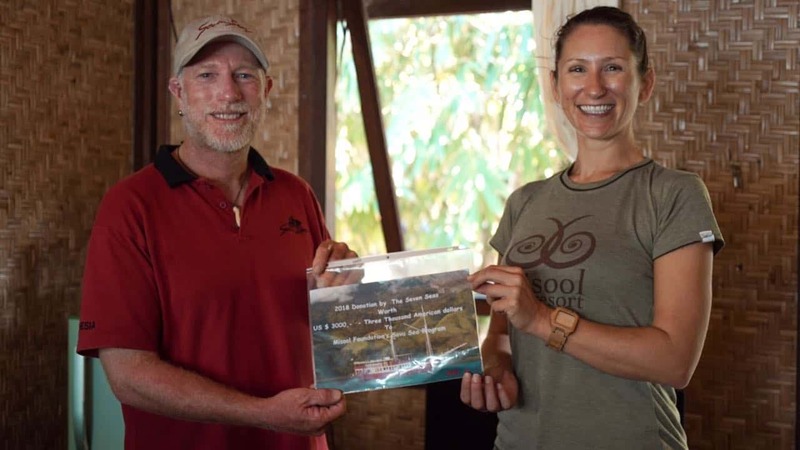 Larantuka is the base for Misool Foundation’s ‘Savu Sea Alliance’ Program. Surrounded by the islands of Flores, Rote and Sumba this small, yet incredibly biodiverse sea is home to some spectacular marine life including mantas and whale sharks. Unfortunately, the wildlife here is frequently under threat as this sea is also home to one of the world’s largest manta fisheries. Misool Foundation is rewriting this story – Indonesia outlawed manta fishing in 2014, and the Savu Sea Alliance was launched to help transition communities away from manta hunting. By creating sustainable new economies, protecting marine life, and conducting scientific research, the Savu Sea Alliance is helping to safeguard the future of mantas, whale sharks, and the communities that used to hunt them. The alliance expanded on the conservation work that we do in Raja Ampat and today incorporates a network of partners across the region including the Indonesian Manta Project, Sea Sanctuaries and the Wildlife Conservation Society. Between 2015 and 2017 we recorded a 97% decrease in the targeted manta catch. We have employed 63 ex-manta hunters and fishermen within our sustainable fisheries cooperative. All 63 have pledged to stop hunting mantas for good. We have created five business units to support alternative employment. We provided 45 grants and small loans to help alternative businesses and awarded six scholarships to children of local fishermen. Our research has built critical baseline data for the region and recorded 26 different types of megafauna including mantas, whale sharks, leatherback turtles, blue whales and dolphins. In 2017 we released 21 vulnerable large marine animals that were caught as by-catch. Throughout our research, we’ve identified additional threats that are having a severe impact on the marine life in the region; one of which is bycatch in gillnet fisheries. Bycatch is the term used when non-target animals are caught in fishing gear and normally discarded or killed to save the fishing nets or lines. To address this threat our team are currently running a pilot project designed to reduce the numbers of manta and mobula rays that are trapped in gillnets. This study, based on successful implementation with turtles in Java, is testing different coloured LEDs as a potential to help deter these animals from nets without negatively effecting target fish. Thanks to a generous donation from Seven Seas we can fund this pilot study for the next 3 months, which may have a critical impact on the health of manta and mobula rays in the Savu Sea. For more information about the Misool Foundation please visit https://www.misoolfoundation.org/. Would you like to support Misool Foundation’s work? Donations of any size are appreciated. MF is an extremely cost-effective organization, and funds go a long way in Indonesia. Please donate here.